The students participating in the ARCHIDIS IP 2012 have been divided into groups and assigned group themes. My group will discuss the role of the archivist in appraisal. To get to know our group theme, each student is expected to write an essay on the group theme and make a summary of the essay available to the other students. The summaries will be used in the work that will be done during the IP. In preparation for the ARCHIDIS IP 2012: a somewhat unstructured review of Ian Johnston’s article titled «Whose History is it Anyway?» published in the Journal of the Society of Archivists, Vol. 22, No. 2, 2001. Ian Johnston has written the article as a representative of the Brent Archive in the UK (that holds collections related to the London Borough of Brent), and, it seems, as a connoisseur (and critic) of the acquisition practices in both the UK and the USA. The article sets out to «examine how the archive profession has addressed the notion of representation, focusing particularly upon the area of acquisition policies». It advocates that the archive profession to a greater extent needs to adopt Howard Zinn’s concept of the «activist archivist», and work against the pull, as Verne Harris puts it, to create a more inclusive collection practice and thereby ensure that our archives represents all groups of society, not just the privileged and the powerful. The current and past acquisition situations in the USA and UK are discussed at length in the article. The main impression is that the USA is moving in the right direction whilst the UK is lagging behind, perhaps due to the somewhat unwilling UK archivists who, supposedly more than their American colleagues, continue to embrace the Jenkinsonian custodial attitudes. Furthermore, Johnston points out that the efforts to change the status quo have been too broad on paper and too narrow in actual action. Although not a theme in Johnston’s article, I’d like to point to some initiatives in Norway that relate to the discussions that Johnston addresses. In 2004 the Oslo City Archives started a project whose mission was to collect archives from various multicultural groups in Oslo. Head of the project, Ellen Røsjø, explains in a recently published article on the subject, that the reason for starting the project was a recognition that Oslo’s minorities were underrepresented in the public archives and that when they did exist, they were mainly portrayed as welfare collectors or other lower standing groups in society. Oslo City Archives therefore set out to collect archives from minority organizations and religious communities. They also interviewed selected members and leaders of these communities and organizations to complement the archives. A similar project was conducted in the region of Oppland in 2008, where the Oppland Archives recognized that their holdings did not document the lives of those who had (more or less recently) immigrated to the region. Interviews were also conducted in this project. Johnston discusses the need to «acquire non-documentary materials, particularly oral history, as a record of elements of culture which do not generate their own documentation.», pointing out that literacy traditionally has been a privilege. We have to move away from the perception that if something is not written down, it does not exist and therefore need not be archived. The value of field work in acquisition practices is highlighted using various examples. Johnston also addresses – and I found this part enlightening – the possibility of creating a virtuous circle when field work makes targeted groups more aware of the potentials of the archive, thus resulting in more material being (created and) deposited. Johnston concludes that there is still a need to embrace the concept of the activist archivist, if we wish to have a more complete and representative documented heritage. Now, more than 40 years since Zinn’s comments and 10 years since Johnston wrote his article, the term activist archivist is more current than ever, at least in the USA, and recently used in a New York Times article about the archivists who are attempting to document the Occupy Wall Street movement). The first task that the ARCHIDIS students have to submit is a presentation of one’s understandings and views of certain basic concepts in the ARCHIDIS theme area, including av description of the terms record, archive and appraisal. The Archives and Records Challenges in the Digital Information Society (ARCHIDIS) Intensive Program (IP) is administered by the North-Western European Archival Educators Network, and (at least in 2012) funded by the EU (Erasmus Intensive Learning Programmes). 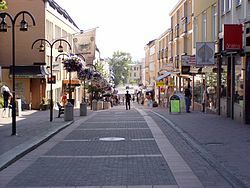 The IP takes place in Härnösand in Sweden. I’m one of the students attending this years’ summer school. 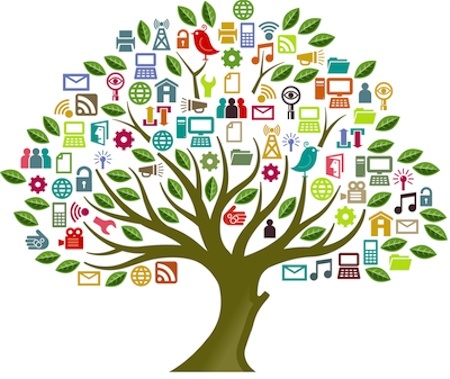 The ARCHIDIS IP will confront the challenges of creating, capturing, managing and preserving corporate and social memory in our digital information society. The attendees are student and faculty from several different countries and learning institutions in Europe. The students are divided into groups that will study different themes. My group theme is «The role of the archivist in appraisal». Should be interesting! In preparation for the summer school the students will write an essay discussing the group theme and interact with other students and teachers on the digital learning platform Moodle. I’ll try to post updates from my preparations, and of course also tweet during the summer school in august!